When it comes to migrating data from postgres to mysql, a developer might face some compatibility issues for which finding the right solution becomes a hectic task. I went through a lot of hassle when migrating data of an application from postgres local server to a remote mysql cloud based server. This small step by step process will guide you through the practical solution of how to migrate data when such a situation arises. Assuming you have mysql installed on the remote machine and access to cmd interface on local server. p plain : Output a plain-text SQL script file (the default). c custom : Output a custom-format archive suitable for input into pg_restore. only useful to add large objects to selective dumps. -a=–data-only Dump only the data, not the schema (data definitions). Table data, large objects, and sequence values are dumped. 6. Now log in to the cloud server using the login credentials using terminal (In our example we used Google Cloud). This takes in username, password and database name to upload the file, takes in the path to file and uploads the data to the tables no matter how large the file is. 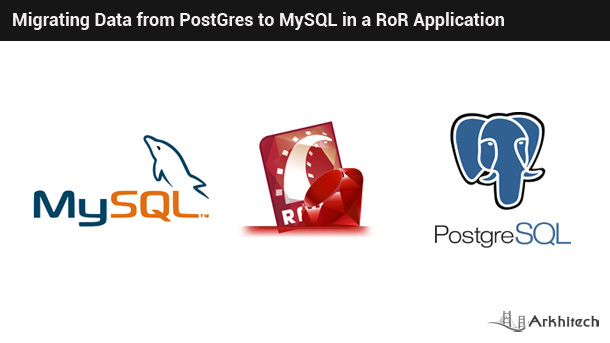 This effort will surely help you save a lot of time and hassle of migrating database from postgres to mysql. This blog will also give you basics of how to work with terminal to upload large import files to mysql/phpMyAdmin, manually truncate databases, and copying files between servers and systems. Make sure to transfer files between servers you have the right permissions (e.g. ssh keys added to permissible list of keys). Feel free to give your comments or imporvements in the steps if you feel are important.